Your favorite alliance of podcasts. Podcast mini-series all about Ball Droid and everything in between. Jacob and Ryan used to host another podcast, but they didn't have time to keep recording eps. Yet they still feel the desire to talk about certain subjects and came up with a solution! Jacob will call Ryan whenever he has sports stuff to talk about and they will record it. These are their random, unedited phone calls covering sports ... See More of all kinds (mostly from a Northern Californian perspective). Enjoy! Blaze and Jacob discuss and try to predict Netflix's Bloodline. Jacob and Taylor count down their top 25 characters from the major motion picture Home Alone week by week until Christmas arrives. Do you ever find yourself having discussions with people regarding what the best fictional sports team is? (Tune Squad!) Have you ever made power rankings of the Mount Rushmore presidents? (1. Lincoln 2. Washington 3. Jefferson 4. 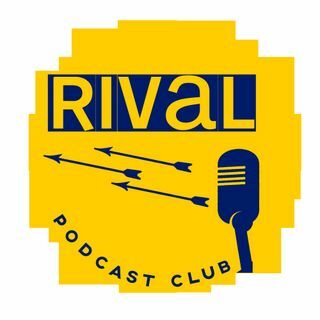 Roosevelt) Well we have the perfect podcast for you! We systematically rank anything and everything we can ... See More through top 5 lists, drafts, and brackets. Hosted by America's ranker-Ryan Balbi and self-admitted contrarian-Jacob Wilson, The Rankings Podcast is the best thing since that listicle you read an hour ago, because someone posted it in your news feed.